Directly located on the famous Ring Boulevard and set within four historic palaces, The Ritz-Carlton, Vienna offers a luxury experience for the most discerning guest. 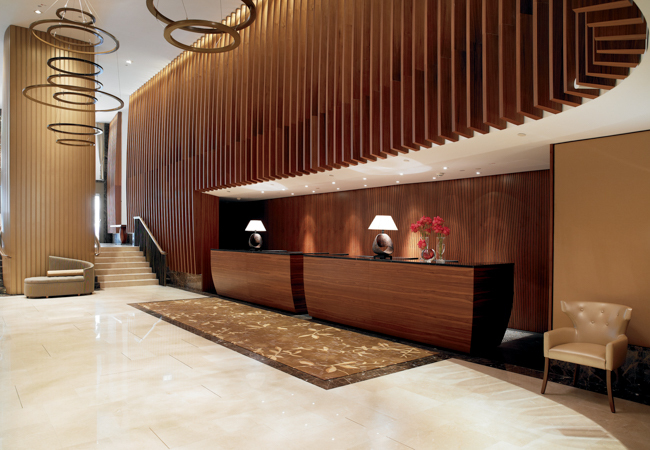 The luxury hotel blends historic influences with a contemporary interior design. The Ritz-Carlton, Vienna strives to inspire the life’s most meaningful journeys and allows guests to escape to a world of hidden gems and true local culture. 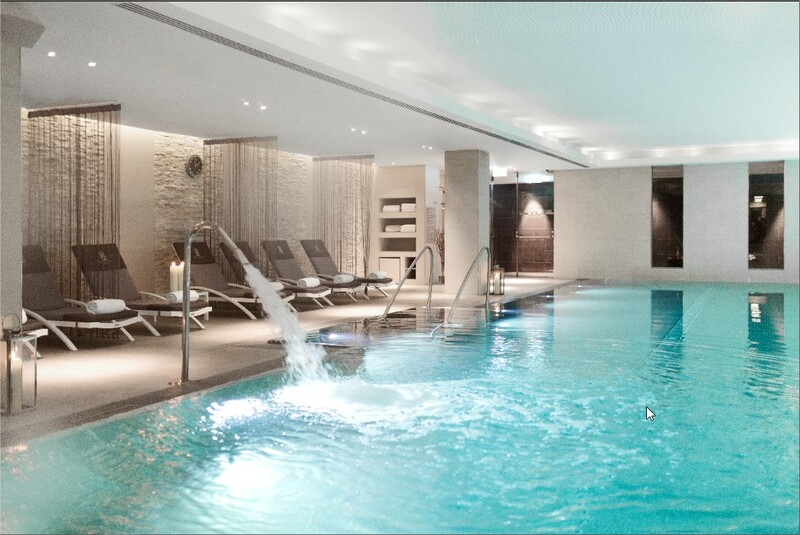 Relax and unwind yourself at The Ritz-Carlton Spa, with the largest indoor pool in inner Vienna with underwater music, gym, sauna and steam bath as well as six Spa Suites for unforgettable spa experiences. The Atmosphere Rooftop Bar offers exquisite cocktails and breathtaking panoramic views of the beautiful city. Finest steaks from Austrian Dry Aged Beef combined with local produce and a wide selection of wines are served at the Dstrikt Steakhouse. The D-bar serves cocktails with a creative twist and cigar rarities. The Ritz-Carlton, Vienna also offers a Club Lounge with private check-in and an exclusive concierge service. 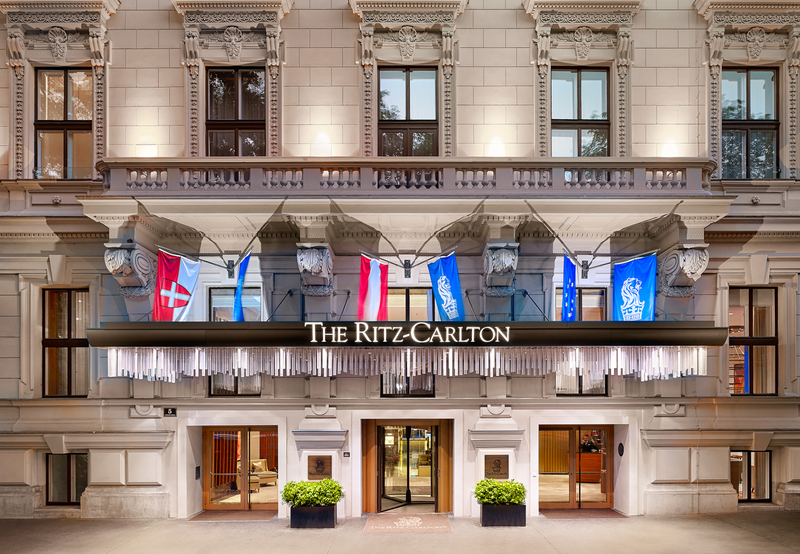 The Ritz-Carlton, Vienna offers luxurious experiences for the most discerning guest. 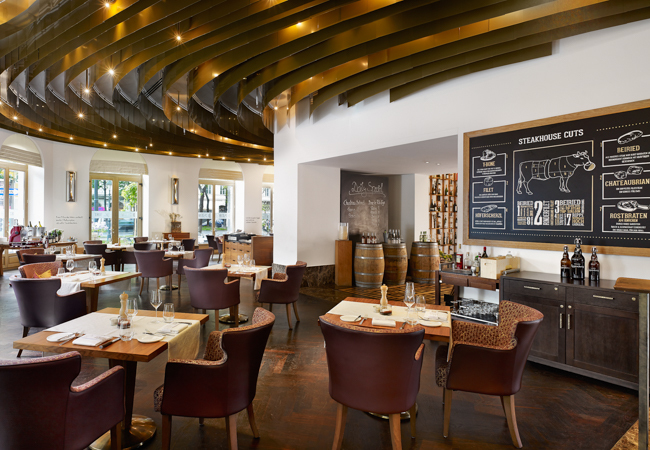 Experience culinary delicacies and discover our new game meat dishes during the one and only Steak Brunch in Vienna, which exudes an outstanding atmosphere. Regular highlights such as the buffet in the kitchen, free-flow champagne, the Bloody Mary cocktail bar and an extensive steak á la carte menu are combined with Austrian specialities to create a unique seasonal feast. The Atmosphere Rooftop Bar is the place to relax and take in the stunning view of the Vienna skyline. Enjoy fresh and diverse cocktails as well as small snacks overlooking a spectacular view of Vienna at our upscale Rooftop Bar. Above that, guests can also try a glass from our broad champagne menu, with exclusive champagne selections. If you are the Gin lover, we are happy to serve you a glass of our finest gin exclusively bottled for The Ritz-Carlton, Vienna. The Ritz-Carlton Spa in Vienna let its guests escape to a world of vitality that revitalizes the senses and inner strength. 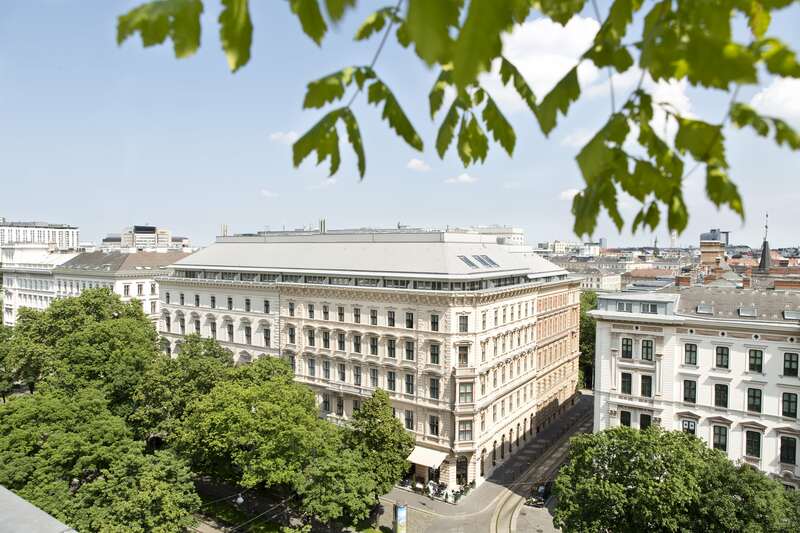 Located in the cultural heart of Vienna directly along the famous Viennese Ring street, the hotel allows for easy exploration of the most important sights of Vienna. 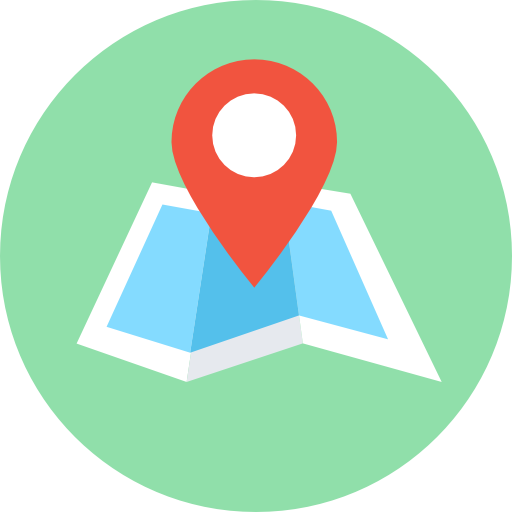 Also the shopping street and city center is located at the doorstep of the luxury hotel. Popular sights such as the St. Stephen's Cathedral and the Imperial Palace can be reached within a few minutes by foot. Schwarzenbergplatz Tram Stop (lines 2 and 71) is 200 meters away, and Stadtpark Underground Station is a 3-minute walk from The Ritz-Carlton, Vienna. The Vienna State Opera is 500 meters away.